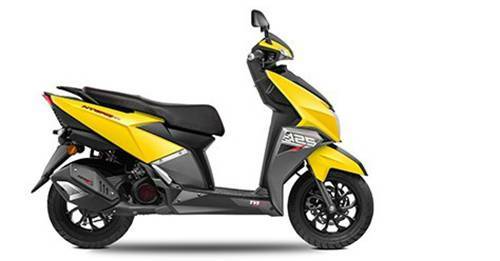 TVS Bikes prices starts at ₹ 32,783. 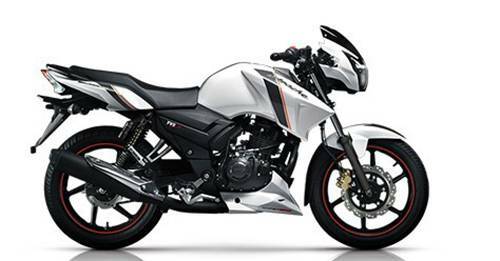 TVS has a total of 22 bikes of which 1 models are upcoming which include Zeppelin. The TVS Apache RR310 is the most expensive TVS Bike with a price tag of ₹ 2.23 Lakh. The complete range is distributed through 18 TVS Bike Dealers in 4 cities in India. TVS Motor Company Limited, the flagship company of the TVS Group, is among the top five two-wheeler manufacturers in India, as of 2018. The company manufactures a wide range of two-wheelers ranging from mopeds to racing-inspired motorcycles. Out of the company’s four manufacturing plants, three are set up in India (Hosur in Tamil Nadu, Mysore in Karnataka and Nalagarh in Himachal Pradesh) and one in Indonesia, at Karawang. 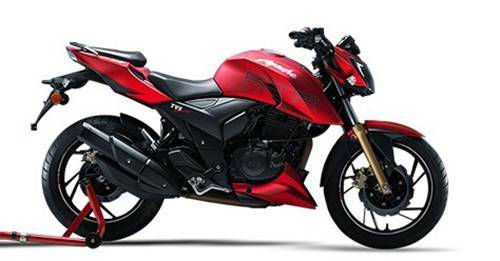 TVS Motor Company Limited is a part of the Sundaram Clayton Group in the TVS group of companies. Sundaram Clayton was founded in 1962 in collaboration with Clayton Dewandre Holdings, UK. It manufactured brakes, exhausts, compressors and various other automotive parts. The company’s Hosur plant became operational in 1978 to manufacture mopeds as a part of their new division. In 1980, TVS 50, India's first two-seater moped from TVS, rolled out of the Hosur plant. In the year 1982, the company entered into a technical know-how and assistance agreement with Suzuki Motor Company Limited of Japan which led to the commercial production of motorcycles in 1984. 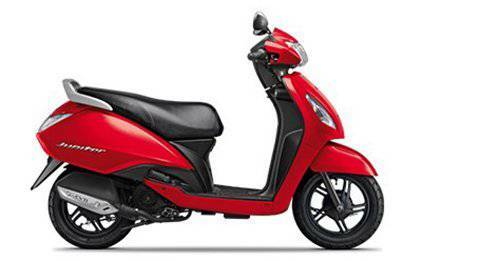 TVS became the first Indian two-wheeler brand to introduce 100cc Indo-Japanese motorcycles in India. TVS and Suzuki shared a 19-year-long relationship that was aimed at technology transfer, to enable designing and manufacturing of two-wheelers specifically for the Indian market. In 1994, TVS Scooty was launched, the first indigenous Scooterette from TVS. In 1996 and 1997, TVS-Suzuki continued with the string of “India’s first” with the launch of the 110cc Shogun and Shaolin, which featured a catalytic converter and five-speed transmission, respectively. In 2001, after separating ways with Suzuki, the company was renamed as TVS Motor Company, relinquishing its rights to use the Suzuki name. As per the agreement, there was also a 30-month moratorium period during which Suzuki was not allowed to enter the Indian market with competing two-wheelers. In March 2008, the company ventured into the three-wheeler segment by launching the TVS King in two variants, a two-stroke petrol and two-stroke LPG version. In early 2015, TVS Racing became the first Indian factory team to take part in the Dakar Rally, deemed as the longest and most dangerous rally in the world. TVS Racing partnered with French motorcycle manufacturer Sherco and named the team Sherco TVS Rally Factory Team. TVS Racing also won the Raid de Himalaya and the Fox Hill Super Cross held in Sri Lanka. In three decades of its racing history, the team has won more than 90% of its races. TVS has numerous two-wheeler firsts accredited to its name and has been a pioneer in introducing cutting-edge technologies on its products. 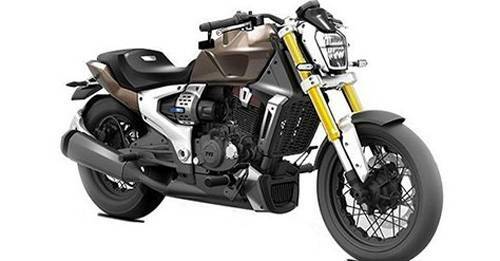 This is evinced by the following: India’s first Digital Ignition seen on the TVS Champ, India’s first fully indigenous motorcycle - TVS Victor, the Apache RTR Series featuring ABS on a motorcycle for the first time, the first scooter with Body-Balance Technology - TVS Wego, the clutch-less motorcycle – TVS Jive and India's first oil-cooled chamber construct with Ram-Air assist seen on the TVS Apache RTR 200 4V. The range of TVS bikes and scooters in India consists of the XL 100, King, Scooty Pep+, Zest 110, Wego, Jupiter, NTorq, Sport, Star City+, Victor, Apache RTR 160, Apache RTR 180, Apache RTR 200 and the Apache RR 310 which form the company’s 2018 product line-up. TVS scooter and bike prices in India start at around ₹ 32,700 for the 2018 XL 100 and go up to ₹ 2.23 lakh for the 2018 Apache RR 310. All TVS bike and scooter price listings can be found on the website of autoX.